Tom oversees the day-to-day operations of the company, including communicating financial management requirements for the firm and our projects. He serves as a technical resource for employees, business development activities, and project management. And he oversees execution of field exploration, laboratory testing, analysis, and report preparation. Tom is a geotechnical engineering veteran with extensive experience throughout the northwest. He has also helped clients with setup and management of geotechnical and environmental evaluations for nationwide retail and datacenter projects. 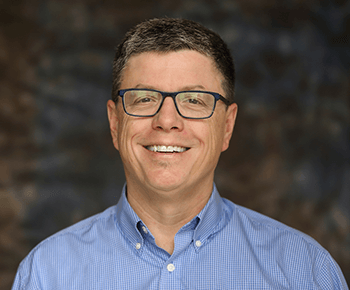 Tom has been responsible for the planning, budgeting, and management of a variety of projects involving subsurface explorations, site development, foundation design, slope stability analysis, pavement design, and construction monitoring. And he was the geotechnical department manager of a national firm branch office from 2006 to 2012. Tom was always a geology loving rock hound. This led him to study geological engineering at Washington State University and share this passion as a 4th grade geology class volunteer for 15 years. He has made nine volunteer surveying and humanitarian missions to Haiti and served on the Mill Creek planning commission for six years. When not shuffling papers at the office or hounding rocks, Tom enjoys exploring the outdoors and traveling with his wife.